Imagine a business model that requires virtually no inventory or startup capital, which partners with the biggest internet retailer in the world. It can be conducted from anywhere in the world, and generates cash flow around the clock, into perpetuity. It sounds pretty amazing, and it exists: it is called the Amazon Associates program. It is a referral program where you advertise and market any products on Amazon, and get a commission of 4-10% on any sale that generate for Amazon. How Does The Amazon Associates Business Model Work? In order to generate website traffic that you refer to Amazon, you need to have a website. Yes, that much is obvious. But more specifically you want to choose a website and topic that is highly targeted around one particular niche that you will write about, in-depth, to establish authority. There’s much more too, but the point is, you will need to create a wide variety of content within your particular niche that will enable you to successfully refer consumers on to Amazon. To learn more about the topic of Amazon affiliates, we had Dom Wells of Human Proof Designs join us for a value-packed session on how to find, validate, and launch an Amazon-focused niche website. In the webinar, Dom shares a TON of great information on how to find a profitable niche, how to validate that it will work, and how to start making some money from it. And the best part is that he is so transparent with the information, sharing an over-the-shoulder demo as he goes through the process he uses himself, to find niches. This is a great resource, whether you are a private label seller, affiliate, or just looking for an ecommerce product or niche. I’m going to share some of the key points that were discussed in the webinar, which I think are definitely worth reading through if you don’t watch the full replay! 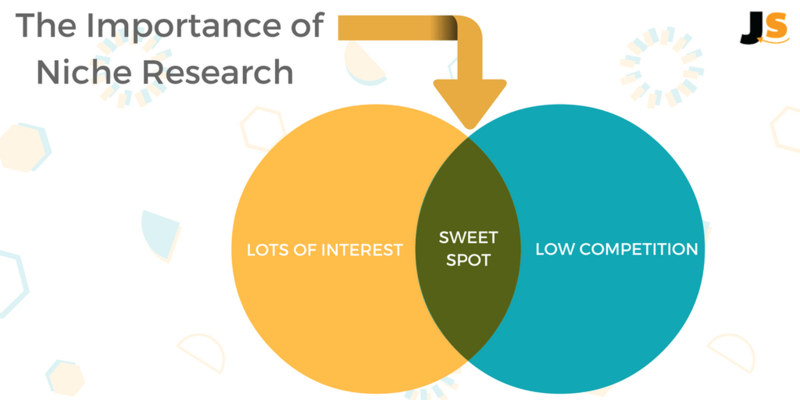 In slide 5, Dom highlights a very important point: the sweet spot of a good niche is where low competition and decent interest intersect. There is nothing wrong with a few existing niche sites in the area that you are considering, as that most likely validates the existence of a market. At Jungle Scout, we share a similar concept in product research for physical products: a good product is one that has significant demand and limited competition. We’re not inventing new product ideas as something to sell on Amazon, as there is no established demand for the product. Plus, creating a new product is an intricate and expensive endeavour. For both niche sites and physical products, we are relying on organic traffic. That is, people who search for a product and base their decisions on the results that pop up. For niche sites, we look at Google traffic to determine how many people are searching and what they are searching for. For physical products we rely heavily on Amazon search traffic. As Dom points out, the easiest ways to begin your niche research is by browsing the Amazon Best Sellers, categories and sub-categories or even other sites such as Ebay and Alibaba. From there, you can try using websites such as Reddit to sneakily find hidden niches where others may not be looking. We shared lots of ideas for finding niches in a recent article, including utilizing Reddit, Alltop and more. Of course, even though niche sites rely on Google search and keywords to get the message out to your target audience, it’s also useful to do your Amazon research too. This is required in order to find out how many relevant products are being sold, and whether they are best sellers or not. With that in mind, let’s move on to keyword research and validating a niche. In the chaos of online marketing, there are tools to organize and quantify the data for you. Don’t ignore these tools, as they are a valuable compass to navigate your search. There are a variety of free and paid tools available to you for doing keyword and competitor research. Most notable is Google’s Keyword Planner, a free tool (if you have an AdWords account). But, alas, Google has made this a pay-to-play feature of sorts, so unless you are spending some decent money with Google ads, you may get unhelpful search volume estimates. Dom also relies on a variety of search engine optimization tools, SEMrush, KWFinder, Long Tail Pro, or SeCockpit. These tools are helpful to offer search volume estimates, the competition level for a niche or keyword, and ultimately the viability of a potential niche. Some other tools which are great for keyword research are Keywordtool.io and Ubersuggest. Oh and don’t forget to check out Google Trends to see if you can find any useful trends, or take a look at the trend graph for a niche you are interested in. Starting from a high level allows you to get an understanding of the niche landscape before becoming too invested in a particular niche. For example, you may start with a men’s interest idea, narrow that down to men’s grooming, and get even more granular with men’s shaving or razor. These are what he refers to as the “money” keywords. People who search for these keywords have done their due diligence and now looking to make a purchase. They are prime customers to land on your site and ultimately refer to Amazon for the sale (and the best part, the commission!). So now we know that we are looking for a niche that has some existing interest, without overwhelming competition. Our assumption is that we will be able to create a website marketing products within a niche, and start sending purchase-ready consumers to Amazon. When they buy, we make money. Are there lots of products and related products on Amazon? Are people leaving decent reviews of the product? Are people willing to buy them online? The beauty of today’s niche research is that there are tools to quantify how many people are searching for various keywords. What happens when you have found a niche that has promise? There are some very straightforward steps that Dom outlines once you have found a niche. Ultimately, the goal is to get your niche site ranking on Google for the main keywords you are targeting. The way to get there is by building a content-rich site. You need to fill your website with high-value informational content, and conversion-focused product reviews to get people to purchase on Amazon. Create supporting articles of 1000 words, at a minimum. In addition to the above, there is definitely scope to do your research on digital marketing, if it’s not something you are familiar with. 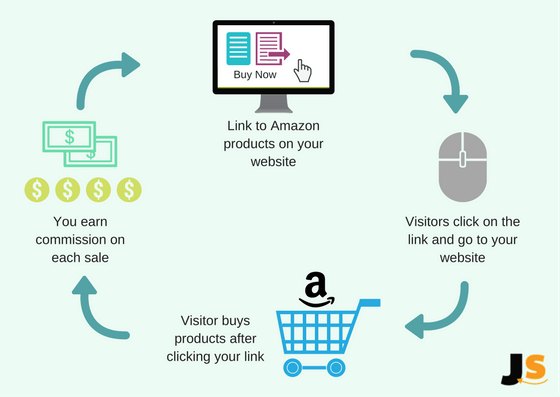 After all, you are creating a website which needs to gain traffic from search engines and other sources, in order to refer people to Amazon and make you money. When launching physical products on Amazon, you rely on their powerful marketplace to make sales and profits as a seller. You don’t need to create your own website, but you do need to have a grasp of digital marketing in terms of Amazon optimization and Amazon pay per click advertisements. As an Amazon Associate, you need to navigate the digital marketing world and pay (very) close attention to the likes of Google and other search engines. This is a huge topic which we will cover in future articles in relation to affiliates. This webinar had loads of useful insights and takeaways from Dom which are useful whether you are using the Amazon Associates business model, or selling physical products on Amazon. Did you get any new tips that you’re going to try out? Or perhaps you are considering becoming an Amazon Associate? Let us know in the comments! 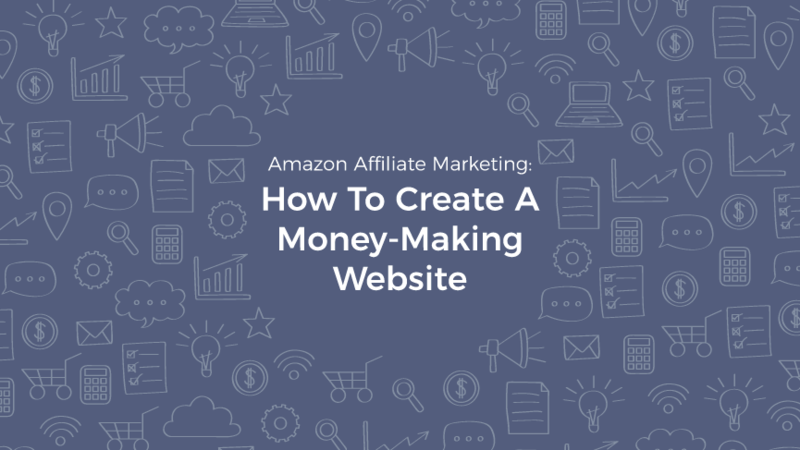 If you are looking for more ideas on how to find a niche idea, we’ve done the hard work for you and put together a list of more than a thousand niches that are ripe for creating a site that generates Amazon affiliate commissions. Elaine, If you are passionate about learning affiliate and or becoming an Amazon associate,you should visit Dom’s website as he specializes in this field. Amazon has just ended its Affiliate program. Can you write a follow up to this post?